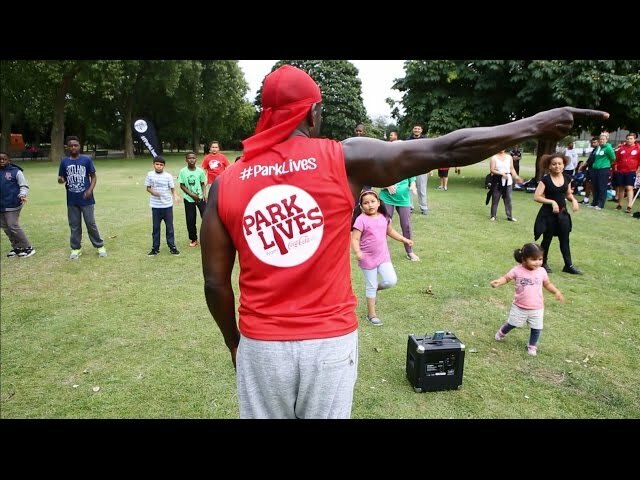 At ParkLives we’re running a long-term programme of fun activities to help improve the wellbeing of local communities from April right through to September. All the activities are completely free and open to everyone – regardless of age or ability. Fancy treasure hunting in your local park? Well, you can do just that with ParkLives geocaching sessions. Using just a satnav, or a geocaching app, you can track down geocaches, small containers of random content or ‘treasure’ that have been squirrelled away by others. It’s like 21st-century hide and seek! You’ll need to figure out some riddles along the way, but it’s well worth the wait. Once you find it, sign and date the logbook inside, you re-hide the geocache and share your experience online. Plus, some geocaches even have little treats inside such as keyrings and stickers – but remember to exchange anything you take for another little treat for the next treasure hunter to find! All in all, it’s a great way to get the whole family together for an exciting outdoor activity that won’t break the bank. Whether you’re a new mum feeling a bit isolated at home all day, or have just moved to a new area and are feeling a little lost, ParkLives can help you meet new people and make new friends while getting outside in the fresh air. And it’s not just friends of the human variety. At the ParkLives session in Heaton Park, they offer donkey grooming for children aged 10-12. The kids get to learn the basics of stable management and the fundamentals of caring for the donkeys. Most of us spend our lives in front of screens – whether that’s on the computer or staring at our mobiles and TVs. Getting out and about seems like such an effort sometimes. But it’s always worth it when we do -- getting outside can refresh mind, body and square eyes. Just getting outside is a boost for your wellbeing – when we’re exposed to sunlight, our bodies naturally start producing vitamin D, which is vital for good bone health. As a ParkLives participant from Stoke says: “I don't like gyms at all, and much prefer to be out in the fresh air. I am also suffering from cancer, so I am limited in options for exercise classes. Our trainer works hard to accommodate mixed abilities and keeps us all on track with our personal goals. "ParkLives can help you make new friends while getting outside in the fresh air"
There’s a ton of evidence on why getting out in nature or any green spaces is great for your mental health. According to Public Health England, It increases positive thinking, calms us down, relieves stress, improves concentration and focus and can even help older people to live longer. Combine all that with an interesting activity such as t’ai chi, pilates or yoga… and you’re in for a double whammy of positivity. It’s called ‘green exercise’. "Simply being outdoors in green spaces helps increase positive thinking, calms us down, relieves stress and even improves concentration"
Fancy starting bootcamp on your own as a new mum? Maybe not. Starting fit ‘n’ fun camp with a group of mums in exactly the same boat as you? Now you’re talking! At Heaton Park, session leader Terri Barter says she started off with 6 motivated ladies who spread the word across Prestwich – and now the group has grown to 16 mums who come nearly every week. Find out more and register for ParkLives.